2009 Volkswagen Tiguan 4Motion Clean CARFAX. 4D Sport Utility, 2.0L 4-Cylinder TFSI, 6-Speed Automatic, AWD, 2-DIN AM/FM Radio w/MP3 Compatible In-Dash 6CD, 4-Wheel Disc Brakes, ABS brakes, Air Conditioning, Alloy wheels, Brake assist, Bumpers: body-color, Compass, Driver door bin, Driver vanity mirror, Dual front impact airbags, Dual front side impact airbags, Electronic Stability Control, Four wheel independent suspension, Front anti-roll bar, Front Bucket Seats, Front Center Armrest, Front fog lights, Front reading lights, Heated door mirrors, Illuminated entry, Leather Shift Knob, Leather steering wheel, Low tire pressure warning, Outside temperature display, Panic alarm, Passenger door bin, Passenger vanity mirror, Power door mirrors, Power driver seat, Power Sliding Panoramic Sunroof, Power steering, Power windows, Rear reading lights, Rear seat center armrest, Rear window defroster, Rear window wiper, Remote keyless entry, Roof rack: rails only, Security system, SIRIUS Satellite Radio, Split folding rear seat, Spoiler, Steering wheel mounted audio controls, Tachometer, Tilt steering wheel, Traction control, Trip computer, Variably intermittent wipers. 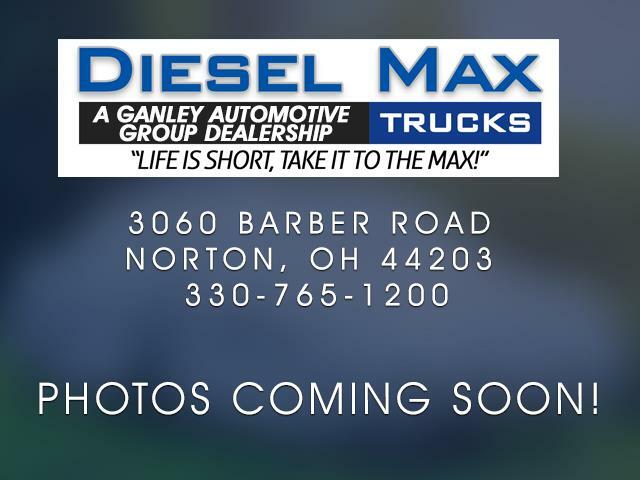 Specializing in all makes models of trucks both diesel and gas. We have vehicles that no body else does. Please call us directly at (330)765-1200.